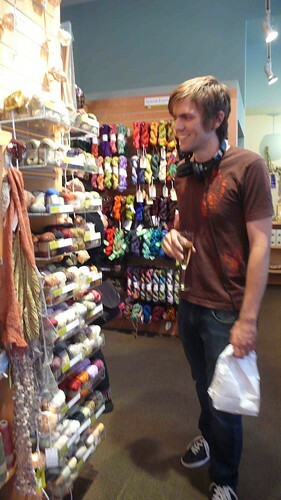 Leigh Radford is the author of three STC Craft books: AlterKnits, AlterKnits Felt, and One More Skein. 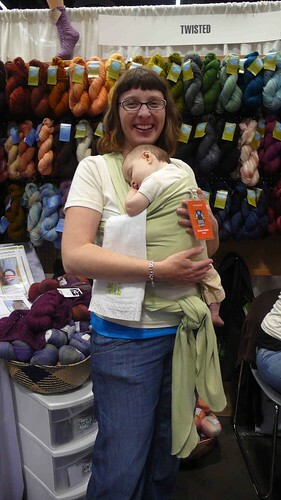 She is also the author of One Skein. 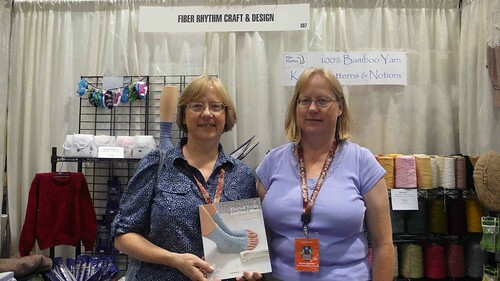 Leigh and I have been friends ever since we worked together on Interweave Knits magazine. 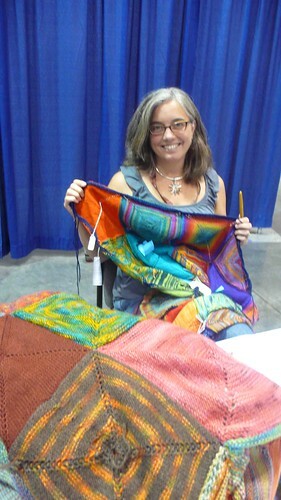 Always generous, she recently completed a beautiful, colorful community knitting project. When I heard about it, I asked her if she would write a guest blog post for us and she--generously--agreed. Above: Albers Stash Blanket, a field of knitted dreams for the Portland community (photo here and below by Beth Conyers). Knitting is one of my favorite activities. 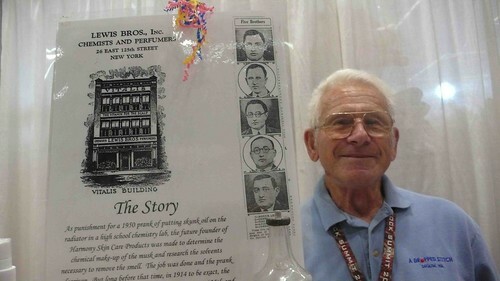 What began as a childhood hobby has transformed into a career that continues to evolve. 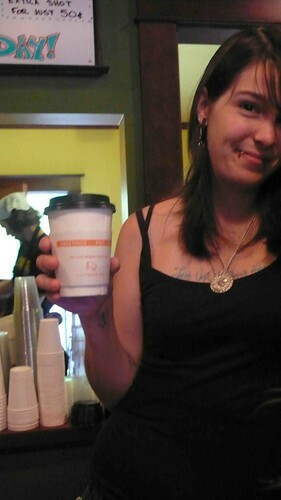 In May 2011 I completed 3-1/2 years of study and earned a bachelor of fine art in craft degree from Oregon College of Art and Craft. 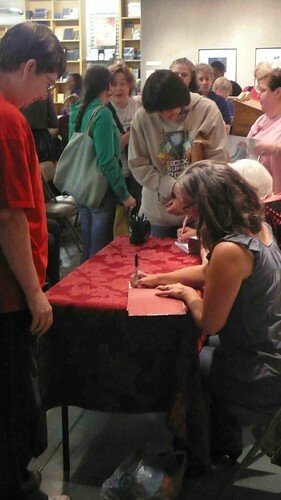 The time I spent at OCAC was amazing and, frankly, very self-absorbed. When I finished I took time to reflect on the support I had received from my friends and family and also from my community. I feel fortunate to have grown up in Oregon and to make my home in Portland. I love living here. The environment, the people, and yes, even the rain--it all feels like home to me. 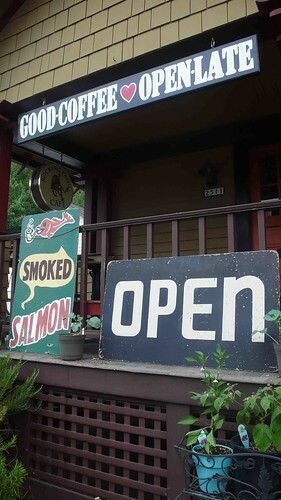 I wanted to give back in some way that would benefit the community that helps nurture my creativity and I wanted to reconnect with people outside of the art school campus. While pondering possibilities, I thumbed through a copy of One More Skein, the book I finished writing during my first semester back in school. I stopped when I reached the Albers Stash Blanket. 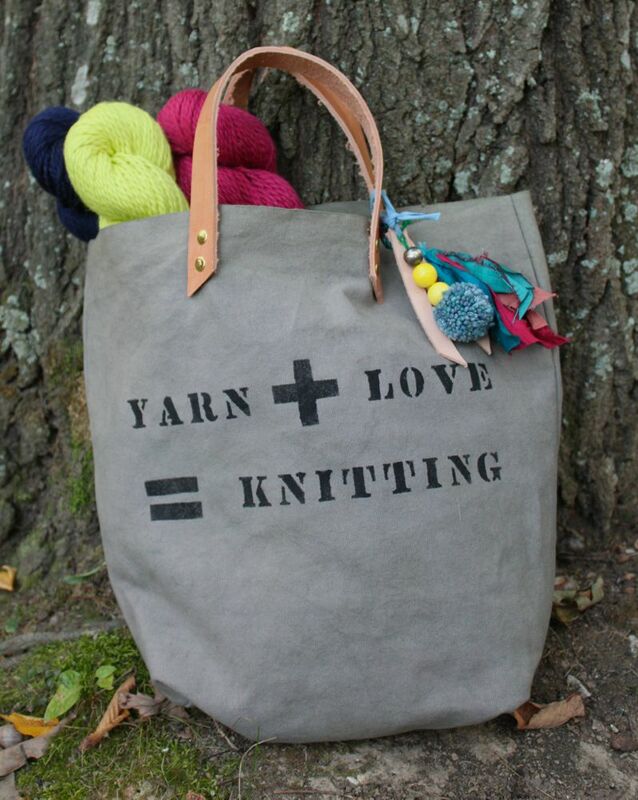 I designed this project to celebrate my love of color and my desire to artfully use leftover yarn in my stash. 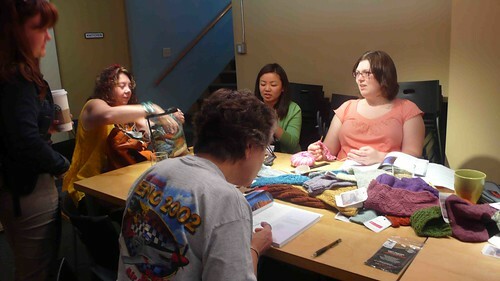 I knew that this project could easily be worked on by a group of knitters--the perfect way to reconnect and give back, and it was right under my nose! I posted the pattern on my Facebook page and asked knitters to send me completed panels to assemble into blankets that I would donate to three Portland nonprofits: Cascade Aids Project, p:ear, and Raphael House. Alternatively, I asked them to coordinate similar efforts in their own communities. Lantern Moon generously donated knitting needles so that I could start multiple panels and then hand them off to other knitters to complete. 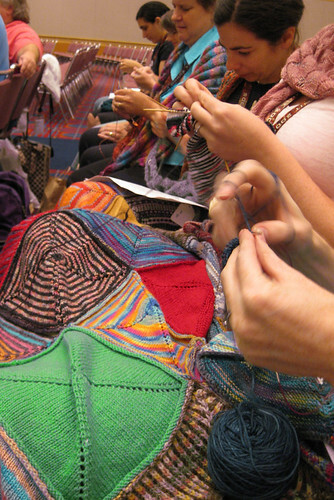 I love that this was a joint effort—a community of those who love to knit working together to create something for others. As the deadline approached, I found myself lurking around my mailbox each day to see if a new panel might arrive. The Albers Stash Blanket is a simple project and versatile enough to incorporate into my daily routine. I brought panels with me to meetings and social events. As I worked a panel, I eagerly anticipated choosing the next color. Sometimes I found myself knitting faster so I could get to it. This spring I proudly delivered four blankets to the chosen organizations on behalf of everyone who contributed their time and talents: Michele Lee Bernstein, Linda Blum, Anne Bressler, Jody Creasman, Close Knit, Erin Derr, Liz Hawthorne, Christie Heinonen, Sue Hill, Laura Irwin, Loretta Kelly, Debbie Kenyon, MaryBeth Lynn, Aileen Mann, Tamsyn Mihalus, Kristin Spurkland, Twisted Yarn Shop, Laurie Undis, Cathy Woodcock, and Sharon Woodcock. I began this project thinking I was the one giving a gift. In truth, I feel like I have received one. This project created an opportunity for me to spend time with friends, old and new, and to learn more about three local nonprofits and how I can participate in them in a positive way going forward. 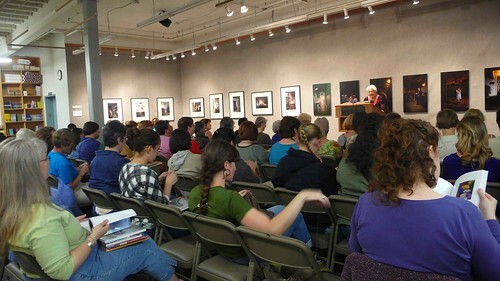 I continue to find inspiration within my Portland community and ask that you think about how you might use your time and talent to connect with others in your community as you reach for your knitting needles to work another row of stitches. 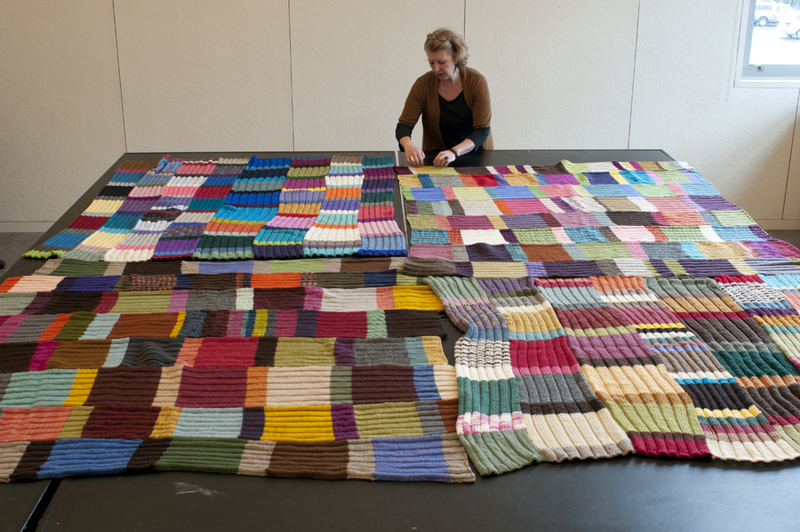 Above: Leigh puts finishing touches on the four blankets donated by the community. 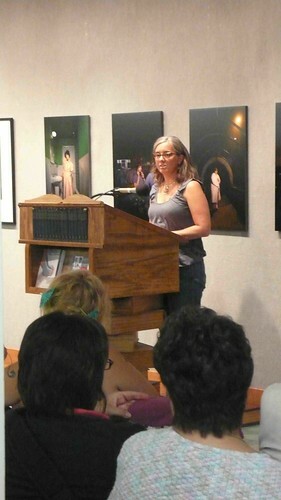 Michelle Edwards, author of A Knitter's Home Companion, lives in Iowa City. 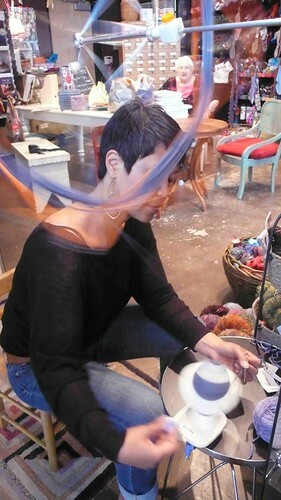 Like many crafters, she finds inspiration in her everyday surroundings. The idea to knit chicken egg warmers was hatched during one of her visits to Fae Ridge, a nearby fiber farm beloved by local yarn enthusiasts. Of all the projects in her book, Michelle's chicken egg warmers might be the gosh-darn cutest. Boldly colored, with bright eyes and tiny beaks, these wooly birds make for playful guests at any breakfast table. And elsewhere. 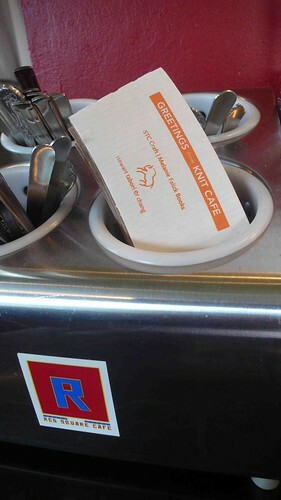 To celebrate the release of A Knitter's Home Companion, Iowa City craft shop Home Ec. is decorated with a brood of chickens made by local knitters. What a wonderful way to be welcomed to the neighborhood. 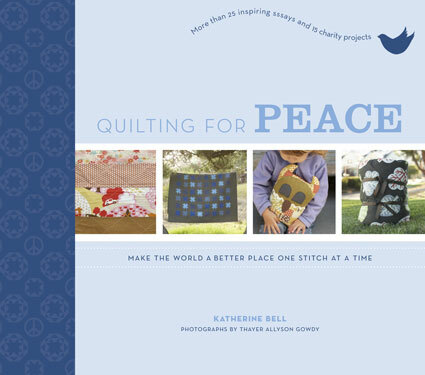 We looked at a lot of cover variations before we chose a design for Quilting for Peace by Katherine Bell. We knew we wanted the cover of this book to be related to the cover to the first book in the series Knitting for Peace, but didn't feel like it needed to be identical. More than anything else, we wanted the cover to catch people's attention so that they would pick it up, and then feel inspired to quilt for good causes. The cover above (a runner-up) features the Sawtooth Star Quilt, designed according to the guidelines of Quilts of Valor, an organization devoted to making quilts for veterans. This multi-image cover (another runner-up) features (from left to right) a detail of an Easy, Striped Baby Quilt adapted from a pattern by Binky Patrol Founder Susan Hinch; the Sawtooth Star Quilt (see above); Mirabel the Owl, a softie made following a design by Softies for Mirabel founder Pip Lincolne; and a Recycled Sleeping Bag adapted from the Sleeping Bag Project pattern. This is the cover we chose. It features the Preemie Pinwheel Quilt, adapted from a Quilts for Kids pattern. To see a few interior pages of this book, click on the book cover in the right margin. 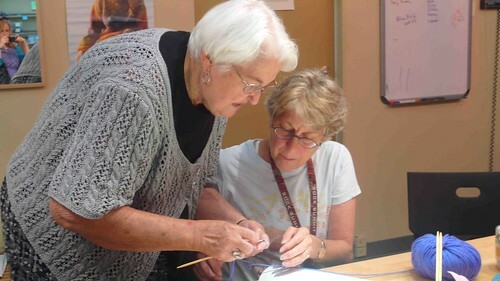 To learn about STC Craft's Quilting for Peace campaign, click here. 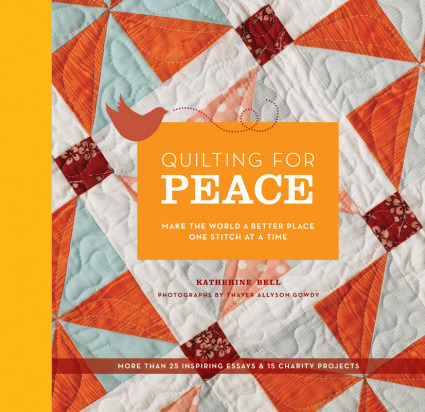 To celebrate the publication of Quilting for Peace by Katherine Bell and to, hopefully, help to spread some goodness, we are happy to be launching our new Quilting for Peace Campaign. To find out all about it, click on our Quilting for Peace widget at left. Whether you're new to quilting or an experienced quilter or don't quilt at all (yet) but are curious, please check it out. 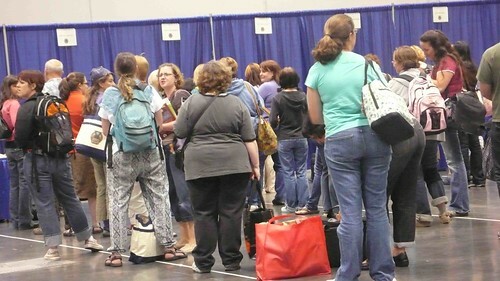 I'm sure you've all heard by now (you who are knitters, crocheters, sock fetishists, or merely curious Portlanders wondering who the heck was cramming up the Voodoo Donuts line) the sighs and fond reminiscing about the first-ever Sock Summit in Portland, Oregon, the weekend before last. Even while vacationing, way up in the mountains on Peak #7, the following week, I heard the reverberations of that once-fabled Sock Summt, where socks from far and wide came to mix and mingle, share deep thoughts, and seek beautiful new patterns. Oh, who am I kidding? It was all about the donuts for some knitters. 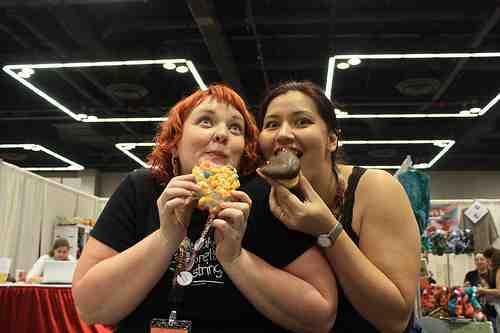 Here is Amanda from Lorna's Laces, with Natalia Apple of the Purls Beyond Price blog, noshing on what looks like a Fruit Loop donut and maybe just a chocolate-glazed. 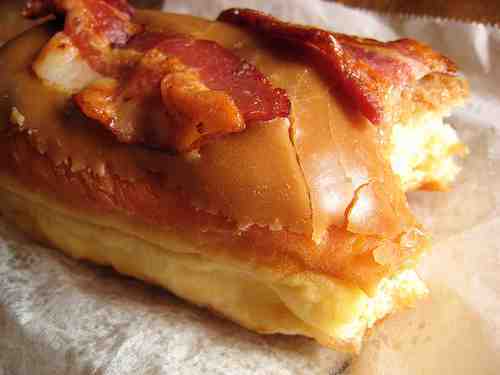 Let's contemplate the maple bacon donut...which I, fair-weather vegetarian, bit into, only to feel both joy and pain in a single delicious moment. 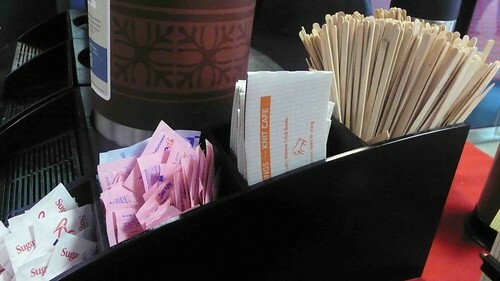 ...including Powell's Bookstore cafe, and even the Convention Center's Starbucks. Cha-ching! Mmm, now that we're fueled to the max on virtual sugar and coffee, let's have a look at some of the beautiful booths (and booth people) who helped us sell our STC Craft creations: the brand-new Knitted Socks East and West by Judy Sumner (displayed with samples of the socks , which folks just loved! 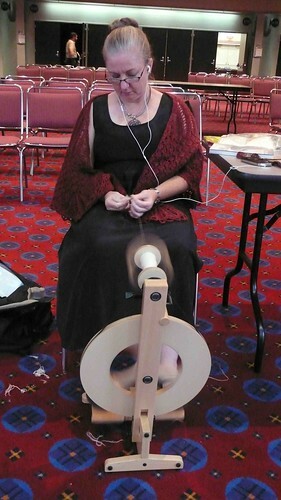 ), and the STC Craft classic-to-be, Knitalong, by Portland gal Larissa Brown. 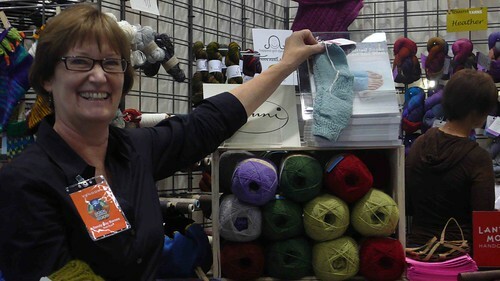 ...the folks at the Cherry Tree Hill Yarn booth,and Lisa of the popular Lisa Souza Knitwear and Dyeworks booth, where Judy Sumner spent most of her Marketplace hours. 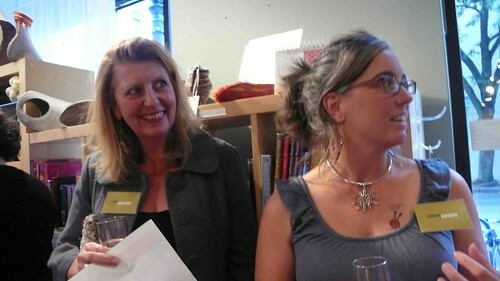 ...and here's Judy enjoying conversation at the local designers party at Knit Purl. ...and (yay!) even a random cute boy gets lured into the mix! 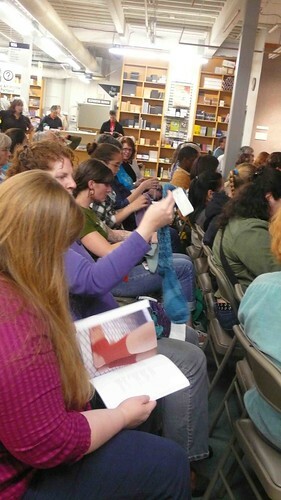 Next highlight of the night...this crowd at Powell's Books' "A Night For Knitters"! Around 80 people! Judy was a natural on the stage! Inciting laughter, curiosity, and even sympathetic awww's when she talked about having to reknit some socks because of color issues. 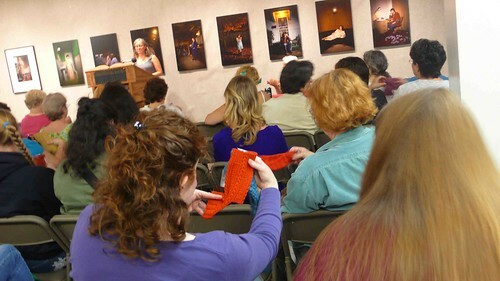 Of course, the crowd also loved looking at the socks from the book closeup. Larissa Brown got a chance to talk about her book, and her fundraiser for Doctors Without Borders, the Knitalong Barn Raising Quilt Raffle, which ended up raising $600 (here are a couple of the gorgeous quilts, hanging out with Larissa at the Sock Summit author signing earlier that day). By the time the authors finally finished with the line (and signing the massive amount of stock piled up for them), it was nearly time for bed...and for dreams of the next morning's Barbara Walker lecture. Now, I really didn't know much about Barbara Walker before this trip (I'm pretty new to knitting), so I just sort of expected to be sitting there politely, trying to stay awake while knitting my first sock ever. But seriously! This woman is hilarious and super-engaging, and she's done everything! Modern dance! Square dance! Feminist writings! Tarot card designs! And I so want to read her book The Woman's Encyclopedia of Myths and Secrets. Well inspired, Judy and I headed off to Knit Purl once again, for Judy's Japanese sock technique classes, where everyone had a blast! After such a busy two days, it was back to the hotel for Judy, who was finally feeling the effects of nonstop hobnobbing! I headed back to the convention to take random pics of this curious yarn culture! Oh, and here are some crazy people posing with me. They claim to be my parents. No, really, my folks surprised me and hopped a plane from Sacramento to Portland! 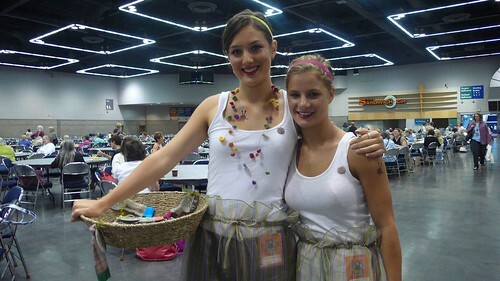 Somehow they wrangled their way into the Marketplace, which they quite enjoyed! My mom bought giant glitter needles even though she doesn't knit, and my dad stood around commenting on the funny knitted hat/wigs he saw. 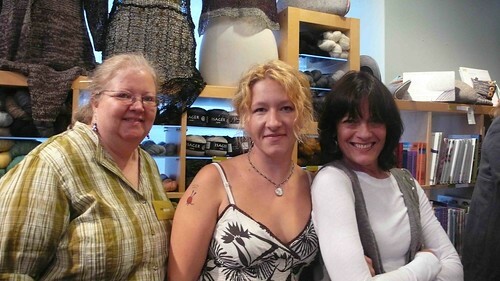 Eventually the parental units left to go dine at some place called Burgerville, and I moved on to the Ravelry party! I was pretty beat by this point, but I spread some STC Craft love about, and took in the awesome site of hundreds and hundreds of Ravelrers moving and shaking (and of course, knitting and crocheting) and winning raffle prizes from the fun-loving Ravelry mavens. Sunday! Last day of the Sock Summit, and I got to experience the Luminary Panel. Did you know that Barbara Walker invented SSK? Did I know what SSK was? No. I've since learned that it stands for slip slip knit, and it's a way of decreasing and making your sock or whatever get narrower. 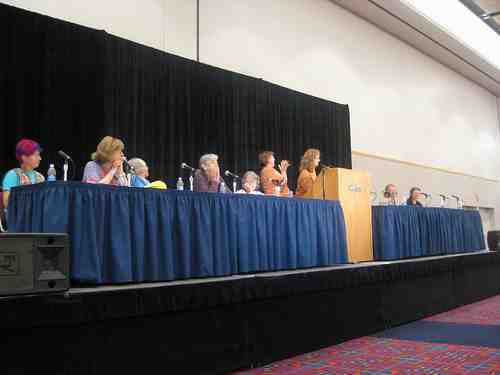 One day I'll SSK like the best of them here: Cat Bordhi, Nancy Bush, Priscilla Gibson-Roberts, Judith MacKenzie-McCuin, Lucy Neatby, Deborah Robson, Meg Swansen, Barbara Walker, Anna Zilboorg. And the closing ceremony cake? Well, I ran away before I could get near it. Toooo many dooonuuuts!!!! Aside from all the extra calories and caffeine, this Sock Summit was an amazing endeavor and a fantastic success. I, for one, am really looking forward to next year's summit, where we will "sock it to 'em!" yet again. Thanks for reading! Where Will STC Craft Be at the Sock Summit? The question is, where won’t we be?! From all over the Sock Summit Marketplace, to the world famous Powell’s Books, to knitting stores all around Portland, Oregon (and yes, definitely stopping by Voodoo Donuts! ), STC Craft will have holes in our socks by the end of this exciting weekend! Stalk us via our sock trail below, or follow us on Twitter @ STC_Craft to get up-to-the-second updates on what we’re up to! 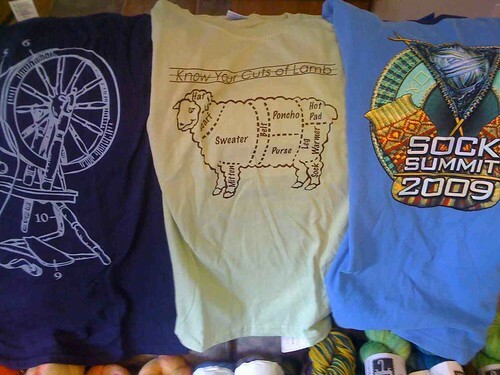 Can't make it to the Sock Summit? Don't be sad! We've got something to keep you busy as well. Etsy has partnered with us to offer a complimentary copy of the Tatami Socks pattern from Knitted Socks East and West (shown above). Click here to download. Mixin’ and minglin’ with the teachers, organizers, and, ohh . 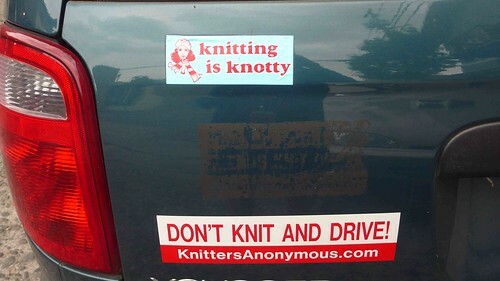 . . just thousands of knitters. Someone is going to get their knitwear snagged for sure! 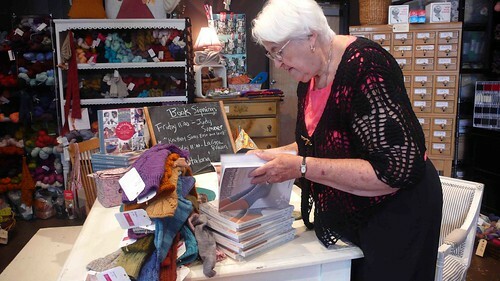 Larissa Brown will be signing her book, Knitalong: Celebrating the Tradition of Knitting Together and raffling blankets for the Knitalong Barn Raising QuiltFundraiser for Doctors Without Borders. 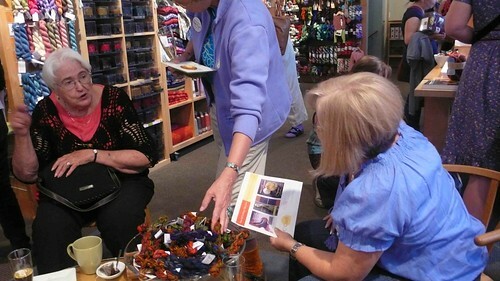 Book-signing and trunk show with Judy Sumner, author of Knitting Socks East and West, a compilation of 30 sock designs inspired by stitch patterns from Japan, most of which have never been seen by Western knitters until now. So many beautiful socks to fondle! 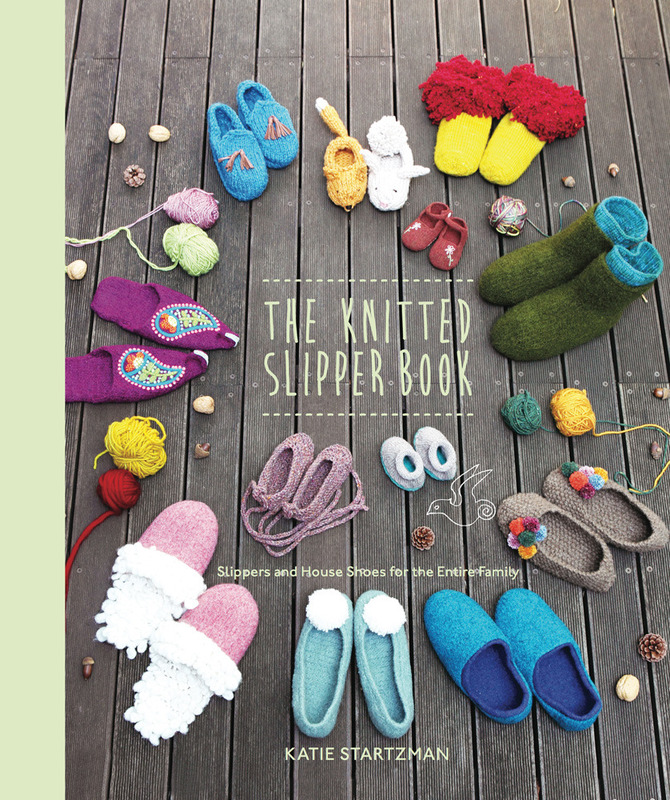 Larissa Brown will be signing copies of Knitalong, alongside knitting greats such as Cat Bordhi, Clara Parkes, Amy Singer, Barbara Walker. and many more! 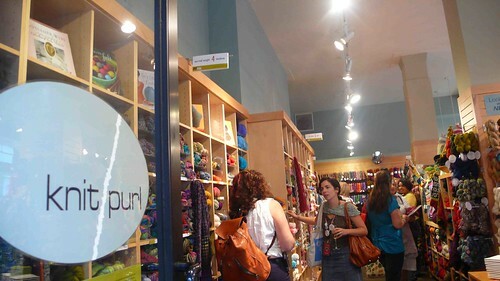 Portland Designers Showcase: Mix and mingle with local knitwear designers, including Larissa Brown and Leigh Radford—author of AlterKnits, AlterKnits Felt, One Skein, and the upcoming One More Skein. Cocktails are rumored to be here. 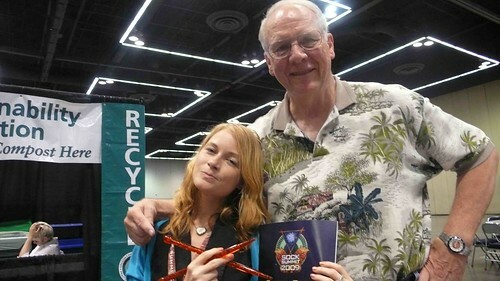 Ooh, and do check out their site; they’ve got all kinds of fun things planned for this weekend! 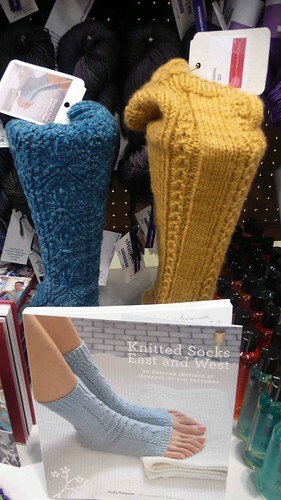 7:30-8:30pm: Powell’s Bookstore 1005 W. Burnside Ave.
A Night For Knitters: Book-signing and Q&A with Judy Sumner, author of Knitted Socks East and West, and Larissa Brown, author of Knitalong. A night, and a bookstore, not to be missed! 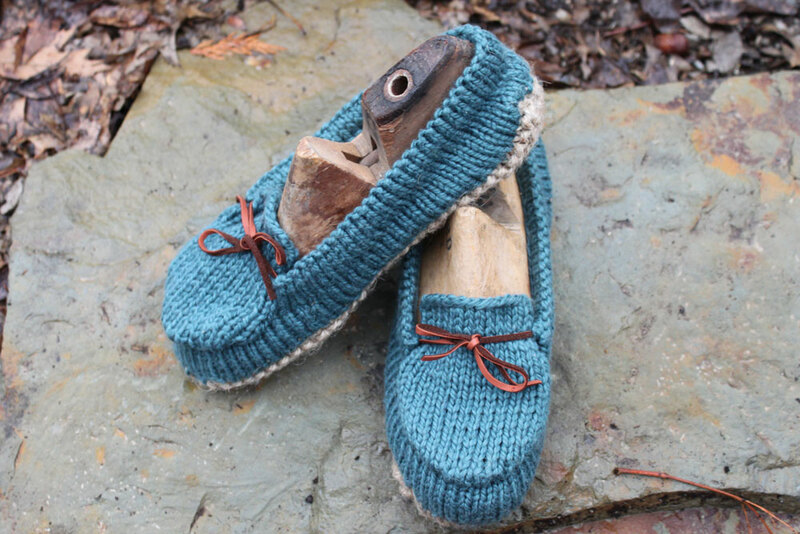 Judy Sumner, author of Knitted Socks East and West, will be teaching a workshop on four different Japanese stitch patterns used in her book. Call to register. Fee of $35 includes a signed copy of the book. 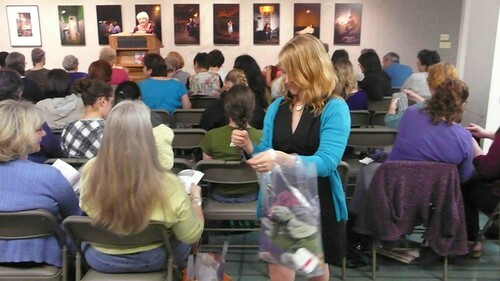 Rubbing elbows and needles with knitters who’ll be ga-ga for these folks! 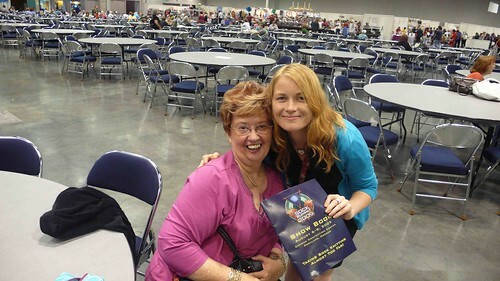 And…be sure to scout out the following booths for signed copies of both Knitalong and Knitted Socks East and West! Hope to see you there. Remember, to follow our tweets @ STC_Craft! UPDATE: WE ARE IN THE PROCESS OF CONTACTING THE WINNER. THANKS TO EVERYONE FOR PARTICIPATING. WE LOVE READING YOUR COMMENTS! Very exciting news! The amazing Clara Parkes of Knitter's Review and STC Craft are teaming up for a very special giveaway to celebrate the release of Weekend Knitting in paperback and the beauty of taking time off to knit and learn new knitting skills with friends. 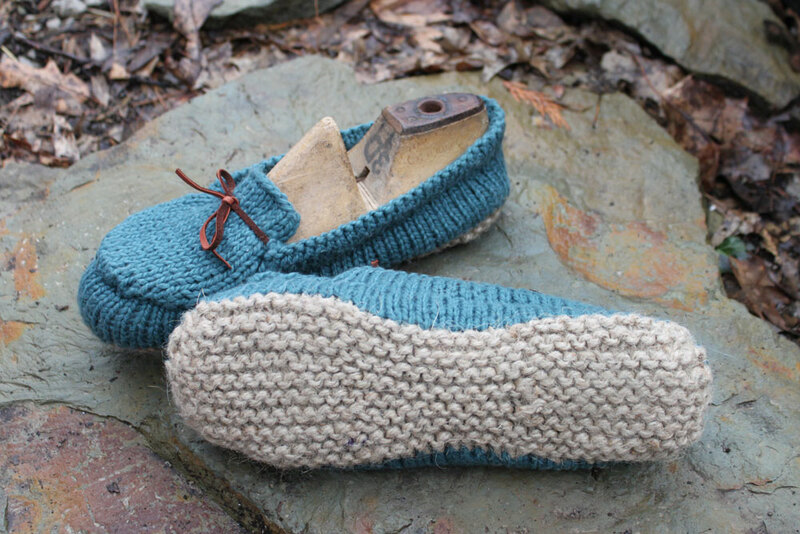 Clara has been hosting an annual knitter's retreat every fall for the last eight years. And this year's gathering, which will take place November 20, 2009-November 22, 2009, in Williamstown, Massachusetts, is sure to be wonderful with Clara and a great group of teachers--Karthryn Alexander, Anne Hanson, and Melissa Morgan-Oakes--leading the way. To learn more about the retreat, click here. Now, here's the exciting part. STC Craft has one retreat package to give away. That means that one lucky winner will have his or her retreat expenses covered: to be specific, the cost of all classes and activities, two nights' lodging in a private room, all meals from Friday dinner through Sunday breakfast, snacks and beverages throughout the weekend, plus all taxes and gratuities, will be covered. 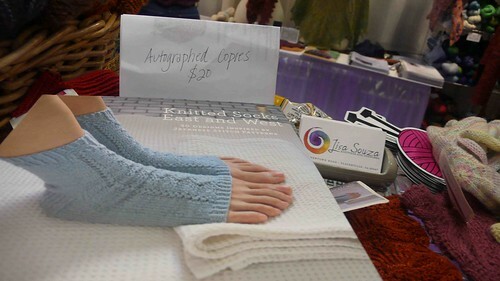 In addition, the winner will receive a copy of the new Weekend Knitting paperback in a gift basket in his or her room. The cost of transportation to/from the event is NOT covered. To enter, in the Comments section below, tell us which STC Craft book you would like to cuddle up with (or craft from) this weekend. To see all of our books, click on the online catalog at right. On or about July 22 at 9:30AM (EST), we will choose one winner in a random drawing from all eligible entries received and send him or her email notification. The winner will have 24 hours to respond; if that doesn't happen, we will choose a new winner, who also must respond within 24 hours of notification. 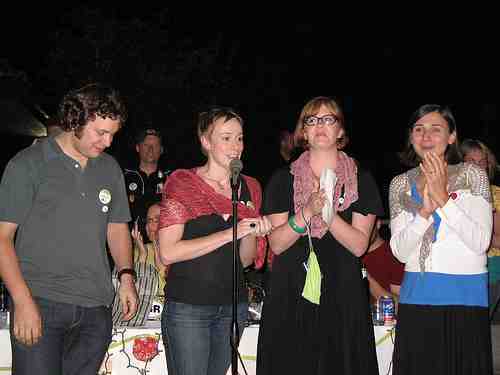 Note that the official registration for Knitter's Review Retreat 09 opens on Friday, July 24 at noon (EST) and fills within minutes, so if you don't win and are interested in going, you'll need to act fast. NO PURCHASE NECESSARY TO ENTER OR WIN. 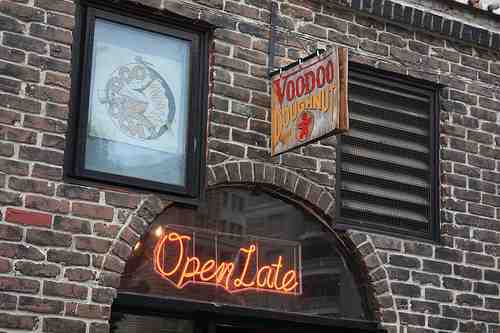 Open only to legal residents of the 50 United States and Washington, DC who are 18 years or older as of date of entry. Sweepstakes ends at 9:29:59AM ET on 7/22/09. 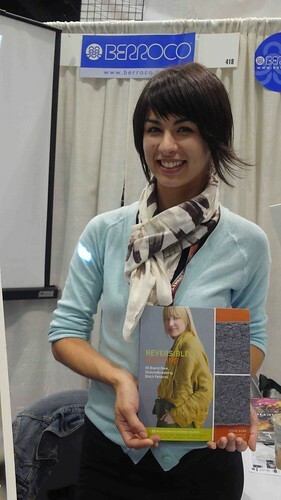 Visit www.abramsbooks.com/Weekend_Knitting_Getaway_Giveaway.html for full official rules. Void where prohibited. 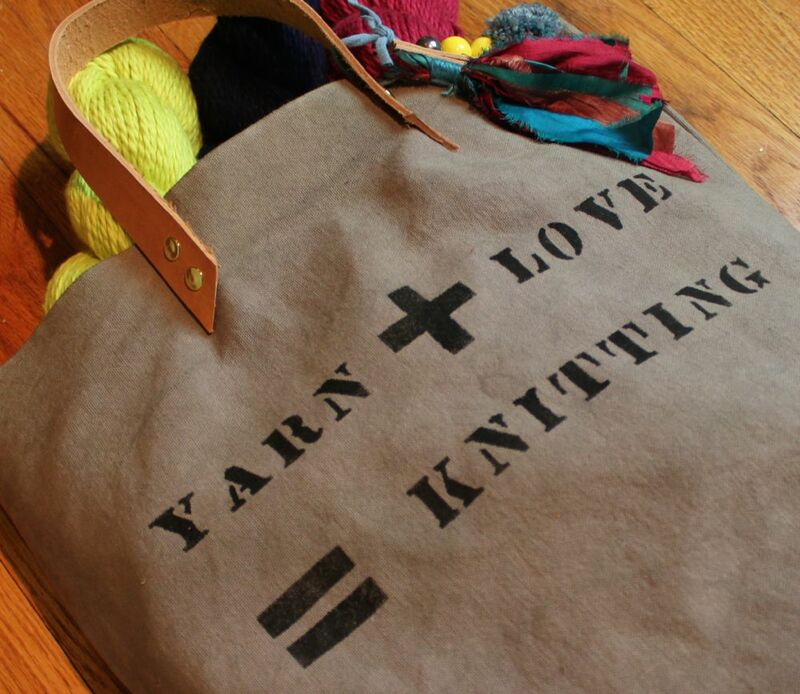 There's a lot going on for knittters this weekend. 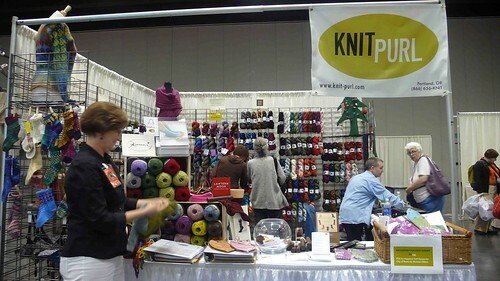 In addition to The National Needlework Association (TNNA) convention in Columbus, OH, it is Worldwide Knit in Public Day, which, despite its name, is actually two weekend's worth of public knitting events around th world (6/13-6/14 and 6/20- 6/21). I'm likely to be knitting in public at the airport on my way to Columbus for TNNA. 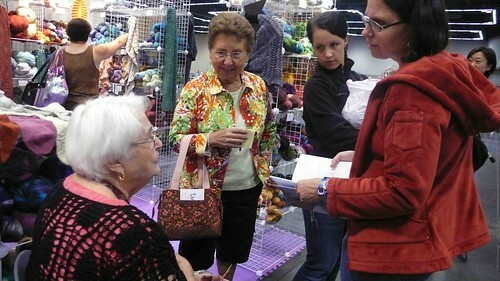 At this trade show we are showcasing all of our knitting titles and also introducing our Fall 09 titles to yarn shop owners and others in the industry. 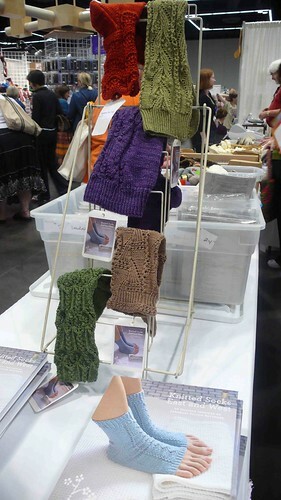 If you can't be there, but are curious, here's the scoop: For Fall 09, we are publishing Reversible Knitting by Lynne Barr, One More Skein by Leigh Radford, and Knitted Socks East and West by Judy Sumner. To see sample interior spreads, click on the book covers at right. Larissa Brown, co-author of Knitalong: Celebrating the Tradition of Knitting Together, has organized a wonderful fundraiser for Doctors without Borders. To participate, all you need to do is knit one sqaure (or more if you like) of the Barn Raising Quilt (shown above) and send it (them) to Larissa by June 9. A team of volunteers will join all of the squares she receives and then auction or raffle off the finished quilts during the Sock Summit in August. For more information about the fundraiser (including the pattern--if you don't have the book--and a mailing address for the squares), click here. 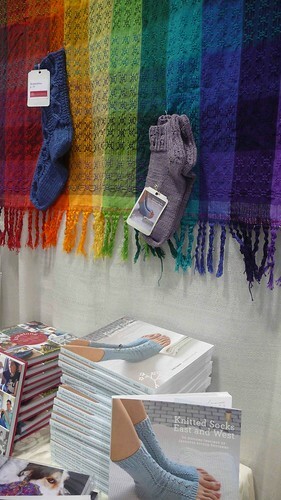 To read about our new book Knitalong: Celebrating the Tradition of Knitting Together by Larissa Brown and Martin John Brown, click here. 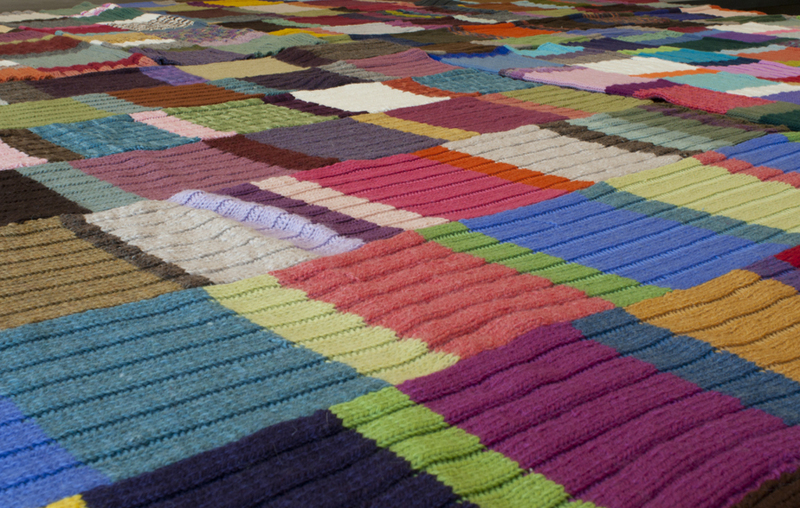 To see a gallery of some of the 20 projects in Knitalong, click here. 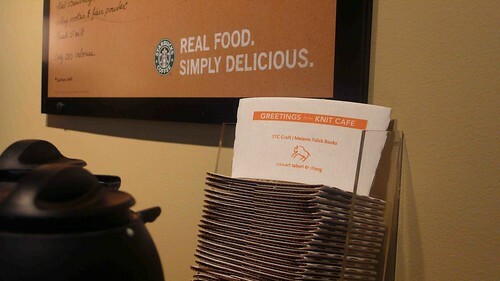 To download our Knitalong Kit, a guide for individuals who are considering organizing their own knitalongs, click here. I was very happy when I found out yesterday that a knitalong for Priscilla Gibson Roberts's Swedish Heartwarmer Shawl from Handknit Holidays is starting on Ravelry. It's such a stunning project but definitely one that requires dedication. What better way to stay focused than with a little help from your friends! If you're not a member of Ravelry yet, don't be intimidated by the waiting list--they process new memberships amazingly quickly. Check out this great article about knitalongs--and, in particular, Sock Wars--from the 17 December issue of the Wall Street Journal. 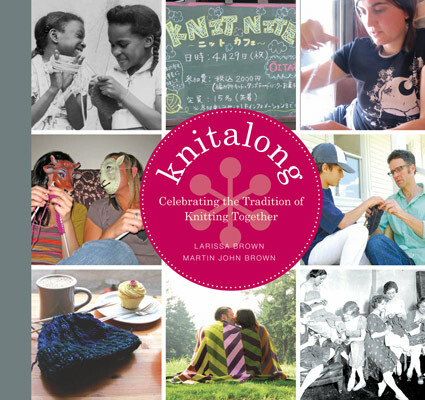 If you like the article, you'll probably like Knitalong: Celebrating the Tradition of Knitting Together, a new book by Larissa Brown and Martin John Brown that is currently at the printer and will be in stores in April or maybe a little sooner. Sometimes people ask me which of the STC Craft books I like best, a question I cannot answer. In part, this is because I need to be diplomatic. But, more than that, this is because I believe that each book is unique and special in its own way. It sounds sappy and maybe like a cop out to some people, but it's true. Still, there are a few books that I think are especially important, and those are the three books in our kids' crafting series--Kids' Embroidery by Kristin Nicholas, Kids Crochet by Kelli Ronci, and Kids Weaving by Sarah Swett. These books teach all of the basics and also a little bit about how crafting fits into cultural history. If you know children who like to make things with their hands, I hope you will check out these books, and, if you have some extra time over the holidays, do some crafting together. I believe that when we teach kids these skills, we are giving them a gift that will last their entire lives (sappy but true, once again). 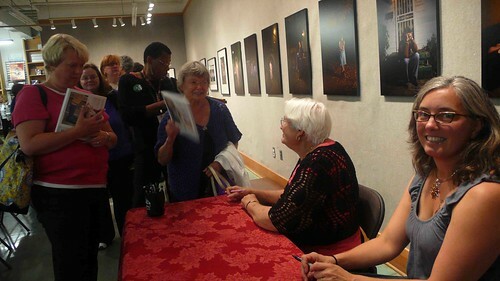 Last night I spent a long time on the telephone with Judy Gigliotti, the photographer whose beautiful images of flowers and knitting needles grace the Greetings from Knit Cafe Journal and Note Cards. Judy was telling me about a completely different endeavor she's involved in: working with the Abayudaya--a small community of Ugandan Jews who are struggling to survive. 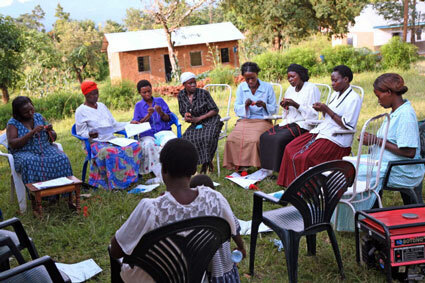 Judy and her sister recently traveled to Mbale, the village in Uganda where the Abayudaya live, and spent two weeks helping to organize a medical clinic and teaching women how to knit. Judy reports that the women were joyful in their lessons (and in their daily lives generally) and will, hopefully, be knitting well enough soon to start making blankets that will be sold for them in the United States. Here are some of Judy's photos, some of which are being made into note cards that will also be used to raise funds for the Abayudaya. If you are interested in learning more about Judy's work with the Abayudaya, which is organized through the Institute for Jewish and Community Research in San Francisco, email her at judithgigliotti@gmail.com.